P-3214. 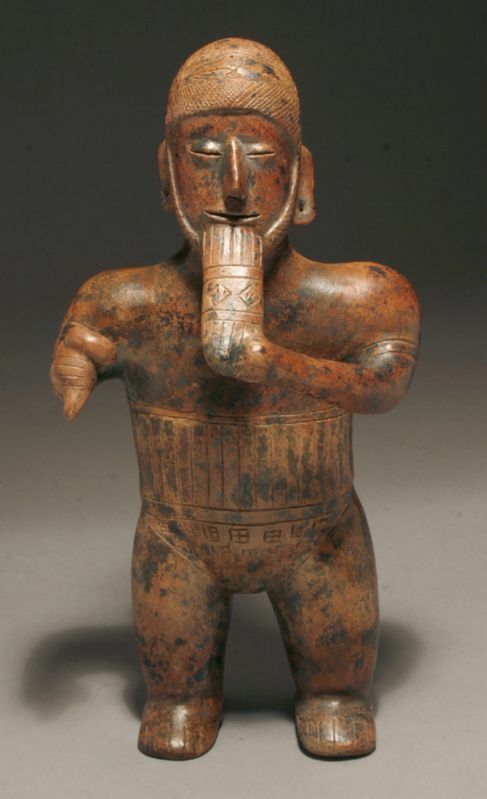 A Colima Standing Shamanic Dancer/Musician. Archaic Style, wearing ceremonial regalia with intricately incised adornments, holding a flute-like instrument to his face. Provenance: Acquired from a Private Texas Collection formed during the mid-1960s.